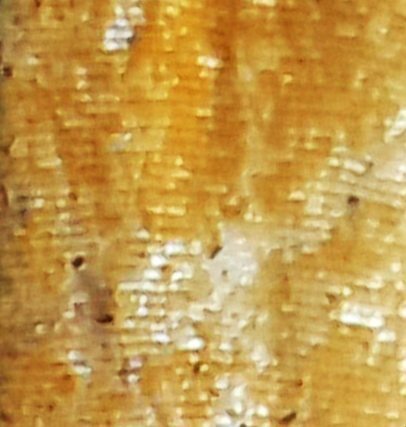 Did You Guess What This Image Is? You’d be right if you guessed this is a close-up view of a butterfly wing. This sole butterfly wing was found on the floor of a garage, where we were about to carry out an inspection. We didn’t find the unfortunate insect it had once belonged to, but on looking at it closely you can see the wing is the result of some very intelligent architecture by mother nature. Butterfly wings are made of two layers – or membranes – that are nourished and supported by a network of veins. The veins also help facilitate breathing by exchanging oxygen in and out. Covering the wings are thousands of tiny, colourful scales and thousands of tiny hairs called setae. You can see them in this photo, like carpet fibres stitched over canvas matting. The fronts and backs of the wings usually have different patterns. Amazingly, butterfly wings are in fact clear. The colors and patterns we see are made by the reflection of the tiny scales covering them. When they fly, butterfly wings move in a figure “8” motion. Even more surprising is that butterflies taste with their feet, and their eyes are made of 6,000 lenses. They can see ultraviolet light. There are 165,000 known species of butterflies found on every continent on planet earth, except for Antarctica. 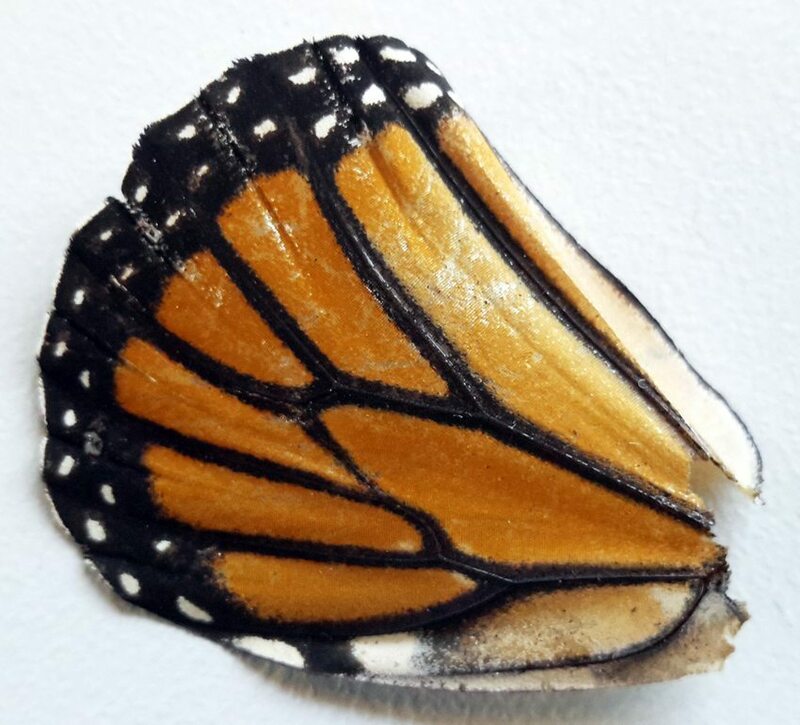 Many adult butterflies never excrete waste. They use up all they eat for energy. And the best fact of all: A group of butterflies is called a ‘flutter’. We hope you’ve enjoyed this interesting insect post. For answers to many more questions about insects around your home, check out the remainder of our website. 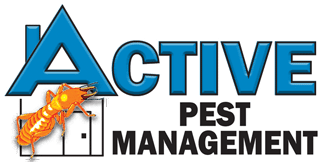 To book a pest control service with licensed professionals – the local Pesties in Blue – call Lisa & Samantha on 6686 8607. We are waiting to take your call. By jcd-admin|2016-11-20T20:34:22+10:00November 20th, 2016|Moths & Butterflies|Comments Off on Did You Guess What This Image Is? Has your home been inspected for Termites in the last 12 months?